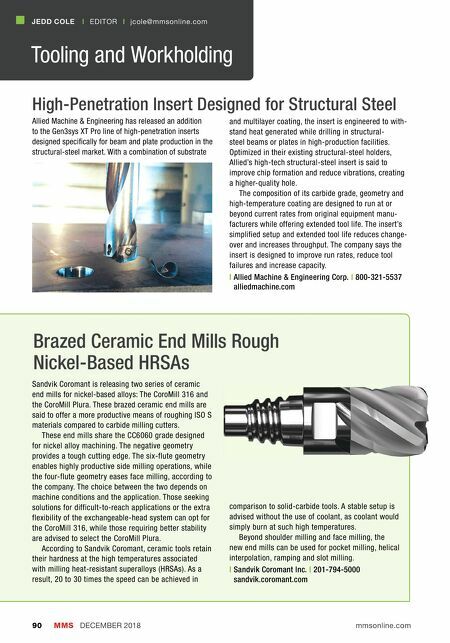 MICRO I00 has been supplying the industry with high quality, high performance, super carbide tooling from our WORLD CLASS FACILITY for almost 50 years! BORING TOOLS | THREADING TOOLS | GROOVING TOOLS | PROFILING TOOLS | SPADE DRILLS | COUNTERSINK TOOLS Micro I00 ® Tool Corporation 1410 E. Pine Ave. Meridian, ID 83642 USA Phone: 208-888-7310 Fax: 208-888-2106 Toll Free: 800-421-8065 Email: m100service@micro100.com QUALITY... THROUGH MANUFACTURING EXCELLENCE! "Servicing every industry sector one chip at a time!" Hundreds of Options in stock, Solutions for all your slotting needs! 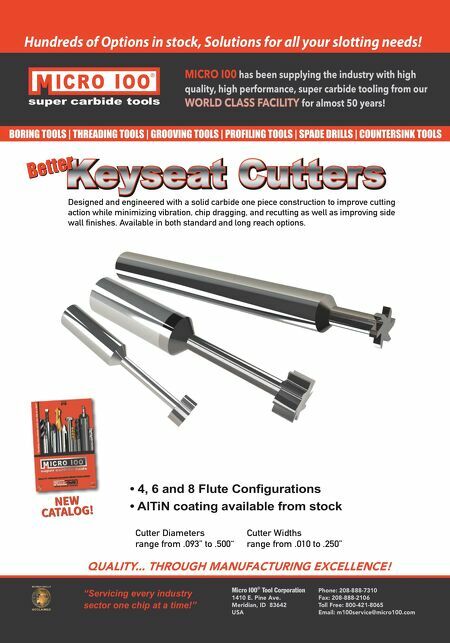 Cutter Diameters range from .093" to .500" Cutter Widths range from .010 to .250" • 4, 6 and 8 Flute Configurations • AlTiN coating available from stock Designed and engineered with a solid carbide one piece construction to improve cutting action while minimizing vibration, chip dragging, and recutting as well as improving side wall finishes. Available in both standard and long reach options.